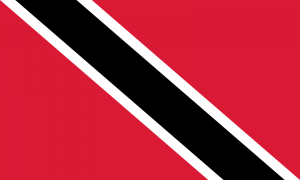 I was blessed to be able keynote again in Trinidad – Tobago (affectionately called TT by people who live in or are from Trinidad). I have developed a great admiration for the people of this small Caribbean nation. Before my keynote for the first national school violence conference in TT last year, I had the opportunity to conduct informal school security assessments in the Port of Spain and to meet with officials from the Ministry of Education. These visits gave me a much better idea of the way schools in the small Caribbean nation operate, how the schools achieve one of the world’s highest literacy rates, and the challenges the schools in this nation of 1.3 million people face. That night, I stayed up very late and dramatically changed the presentation I had planned to deliver. The site visits made me realize much of the information I had planned to present would be of little use to school and public safety officials. The CORE Foundation sponsored the conference and received excellent reviews on conference presentations and panel discussions. Before he conference was over, I was asked if I could return to keynote another conference. After the conference, I spent several days watching leatherback sea turtles nest in the Grande Riviere with my family and we had a wonderful experience. My family and I began to fall in love with the people and culture of Trinidad. Like many developing countries, TT has many opportunities to be a better place. However, I experienced a level of kindness, humble pride, and many people with a deep passion to affect positive change in their country’s schools. The week before last, I received a short notice request to keynote a violence prevention conference that had been planned in response to a series of particularly brutal homicides. I had blocked the week off to work on our new textbook so my calendar was open. The CORE Foundation confirmed the booking that Friday for me to present the following Monday and Tuesday. This conference was not focused on school safety but on violence prevention in any setting. I decided to develop two brand new presentations on Saturday and fly to TT on Sunday. Fortunately, things worked out well and the conference was a success. The CORE Foundation has already asked me to do a live distance learning session to make it easier for people from both Trinidad and the separate island of Tobago to participate. I not only had the chance to meet many caring and passionate people on this trip, but also had the good fortune to hear some excellent presenters from TT. I had my second chance to hear Dr. Anthony Watkins, a master storyteller and caring advocate for children and youth. I really enjoyed the privilege of listening to a dynamic and potent presentation by Gillian Wall from an organization called the Powerful Ladies of Trinidad – Tobago. Jillian made a passionate appeal to the audience – “Help us Rebuild the Village that used to Raise our Children.” I had the opportunity to spend time with some impressive police and security officers and learned fascinating background which helped me understand why some of the unique law enforcement tactical techniques have been developed. My fondness for TT has grown with each visit. My heart has been touched by so many wonderful people who have pride in the great goodness that exists in a country with some daunting challenges. Most importantly, I was blessed to have the chance to see the burning passion in the eyes of a diverse group of professionals who came from across the islands of Trinidad and Tobago to make their country an even better place.